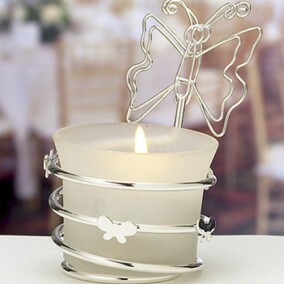 They are crafted from silver poly resin in a three dimensional shape and covered with loads of fabulous silver glitter. 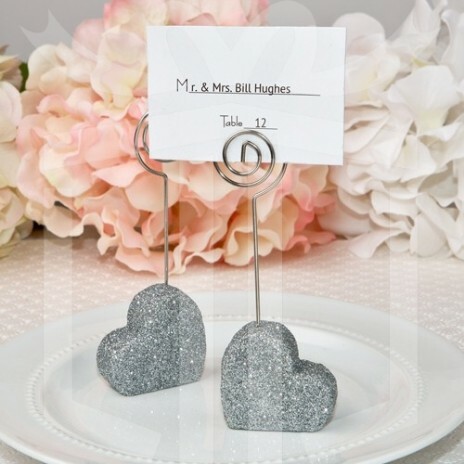 The hearts hold a silver wire with a coil on the top for easy insertion of your placecards or photos. This is the perfect way to welcome your special guests and set the tone for a romantic affair! 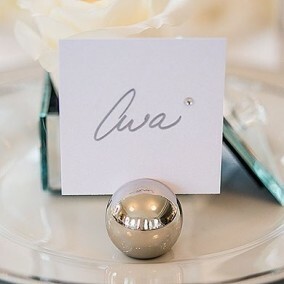 A great way to indicate seating arrangements at a romantic occasion and great favors for guests to take home!